Home > Supplies > Beak Conditioning > Paradise Toys CFS working Lunch Skewer 8"
Working lunch can utilize your bird's two favorite things…toys and food together. 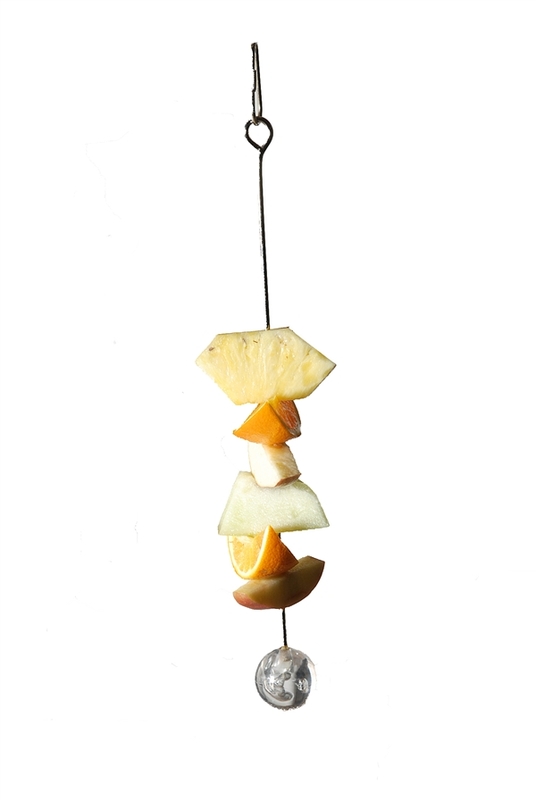 This skewer is dishwasher safe, versatile and engaging. Food can be on the top , toys on the bottom or vice versa.